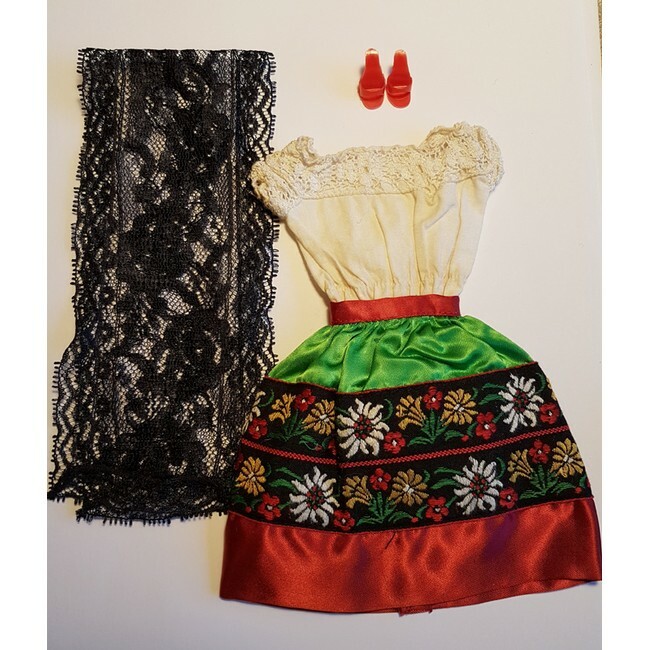 Satin embroidered skirt and black lace shawl are very excellent to near mint. White underdress looks good but has the usual aging issues of brittle elastic and white could be brighter. Red shoes included. Missing jewelry.